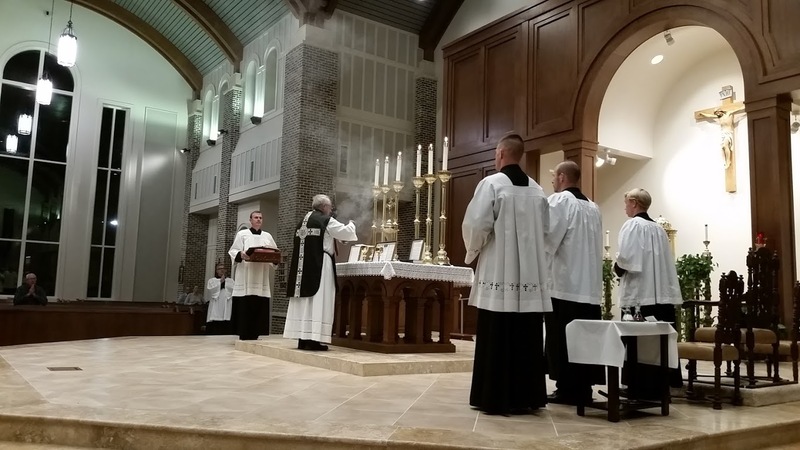 southern orders : WHAT DO THESE PHOTOS, BOTH IN THE SAME CHURCH, TELL YOU? 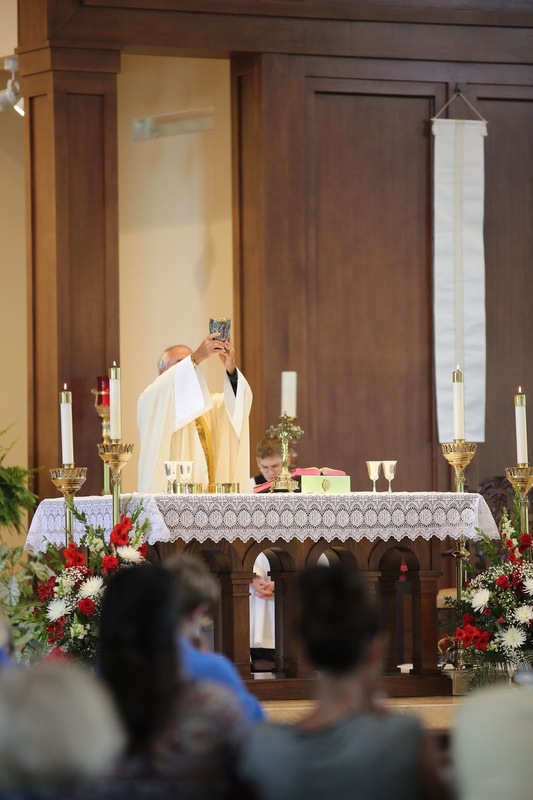 WHAT DO THESE PHOTOS, BOTH IN THE SAME CHURCH, TELL YOU? 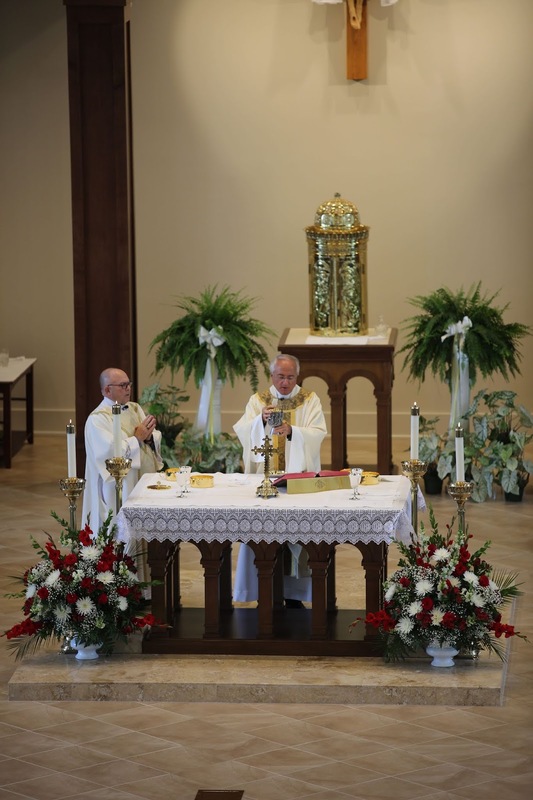 The photos tell me you should have the same altar arrangement for the OF Mass that you do for the EF Mass. It would look far better and feel Catholic. Agree with TJM. The sanctuary looks/feels more Catholic and reverential/vertical when the altar is set for the EF. 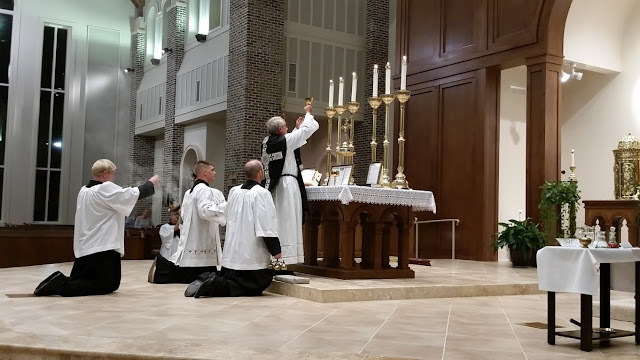 The altar looks more dignified and, somehow, more in proportion with the space that it occupies with the candles placed upon it as opposed to around it and with flower baskets on the floor. The tabernacle has never looked right to me on that small table. It needs something more substantial on which to be placed (because it itself is substantial). The table upon which it currently sits reminds me of something similar that one of my relatives had in their house for the telephone. Even if it is solidly in place, visually, it doesn't look it. This church has potential if there's a mind to enhance this space in the coming years as funds become available. It is not clear to whom the elevation is directed in the NO arrangement.